Christian Rock, Pop, Contemporary, Rap, Alternative and Gospel Music… With so many styles of Christian music to choose from, why Still Water Creek? 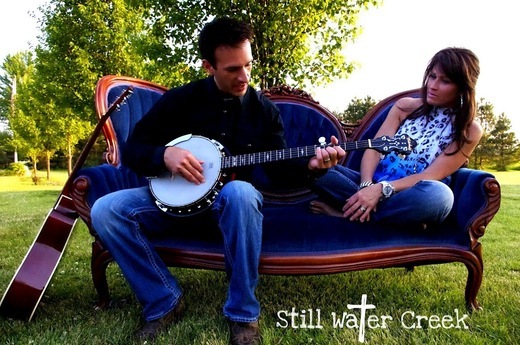 Still Water Creek has stepped outside the box from conventional Christian music. Their aim was to create a style of music that would have an eternal impact on their audience and feed the souls of those who love country music.Still Water Creek's music is Inspirational Country with a Southern Rock Edge. This style of Christian music has created a new wave of listeners by satisfy those who love Country music. It has given Country Music fans the opportunity to experience Gods mercy and grace, while listening to the style of music they prefer. Still Water Creek was birthed in 2009 and continues to climb in popularity. Their goal is to generate new believers. Their mission is to reach millions.